Armed with a good bag of fresh baitfish we caught the week before, dad went down to Georges River for a go. 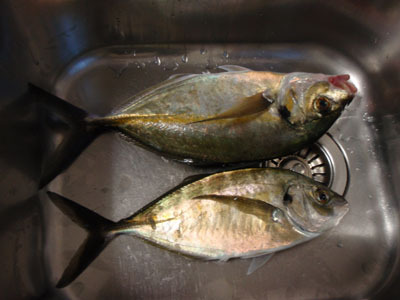 He managed these two bumper golden trevally on blocks of slimy mackerel. The larger one was about 38cm and the smaller about 32cm.